Richard is Executive Director, Digital Strategy for the Canadian Broadcasting Corporation, the country’s largest Canadian digital content ecosystem. 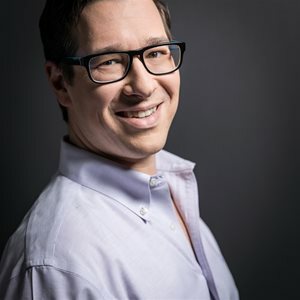 Since 1999, he has led digital strategy and business development for national media brands including MuchMusic and CTV. In that time, he pioneered many cross-platform successes that extended across broadcast, interactive television, web, mobile and live events. Prior to joining CBC, Richard was president and founder of digital media start-up Creative D Inc. Over its three year life the company developed new content distribution experiences and worked with tier-one media companies including Warner Music, Comedy Central, Fox and Disney. In 2012 Creative D was selected as a finalist at Midem Labs in Cannes and a winner of the Disney Innovation Challenge. Richard is a frequent speaker and instructor on the intersection of media and technology.